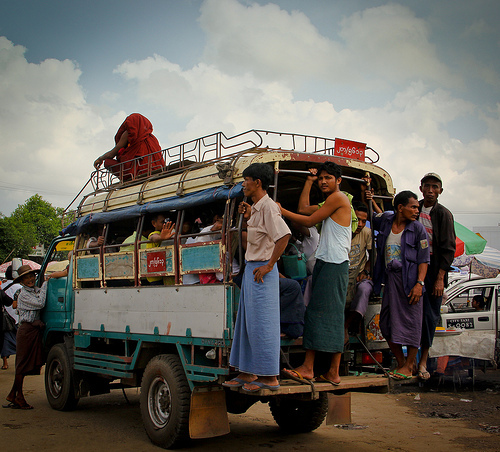 7 tips to prepare your trip to Burma. Not in absolute terms, of course. But compared to other Southeast Asia countries, expect to find higher prices and, often, not exactly what I’d call ‘value for money’ options. There are a few reasons to that. First of all, at least for the time being you can’t access Burma from the land, meaning that you must anyway flight to Yangon from either Kuala Lumpur, Bangkok, Singapore or China. Second, while there are many internal flights to reach the main cities, airline carriers are expensive (usually just below USD 100 per flight). No low-cost carriers. As a third point, I would mention hotels/guesthouses. Most of them are rather old and pricey for what they offer, but as infrastructure for hospitality is still limited, you don’t have much choice (although this is likely to change over time). There are a few luxury, high-end hotels, and resorts, but you should be aware that they are hugely expensive and in most cases strongly bound with the Government. Last but not least, as internal flights are so expensive even buses come at a rather high price, considering that most times you’ll be traveling on old vehicles and that you’ll need to pay for a taxi to reach the bus terminals, which are always very far. Plus, the bus rides are usually very long. In the main streets of Yangon and Mandalay, traffic is like hell. Cars everywhere horns blasting all the time and the air thick and smelly. Cars and motorbikes bikes are very old, as are engines, and petrol is of very poor quality, thus air pollution is huge. Sometimes – and I’m a smoker – I had to cover my mouth because I couldn’t stand anymore the smell and the rasping in my throat. I felt like that the air was close to unbreathable only in Mexico city and Kathmandu, many years ago. People are by far (at least in my opinion) the best part of Burma . Everywhere I felt welcomed by wonderful smiles and a kindness that comes from the heart. Burmese are so spontaneously sweet. Everywhere, kids and adults were waving hello, asking my name, offering help if they thought I was lost. It was funny as well to see how they are attracted by cameras, asking for a picture, proudly posing and then looking at their image as if it were the most beautiful thing, somehow a little magical. I wish I had the opportunity to print the photos for them so that they may keep them as a memory. Burma is only partly open and besides the classical itinerary (usually Yangon, Mandalay, Bagan and Inle Lake) many areas are still closed or accessible only after requesting special permits. This means that one has to plan a trip long in advance, and often the only way to get access to these areas is by private tours, clearly under government control and usually very expensive (plus, it’s not even easy to know if it’s worth the time and cost). Even if you are and independent traveler like me, you’ll eventually follow the beaten tracks and visit the classic places and attractions. That’s a bit of a limit for those who, like me, like to discover as much as possible off-beaten areas of a country. Of course, this is likely to change in the short (or longer?) term. But as of today, do not expect many opportunities to explore unusual places. Yes, you got it right. First of all, be aware that to travel Burma you’ll have to bring with you a lot of cash. Moreover, USD must be perfect, since if they have only a little stain, mark or wrinkle they won’t accept the bills for change. Traveling with loads of cash is not an option but a must, since you won’t be able to pay by credit card or to withdraw money from ATM. This means also that you need to plan carefully your budget to avoid getting short of money. When you travel solo, like me, for an extensive period, this is rather annoying. I usually try to keep with me as little cash as possible, to withdraw when necessary and pay by credit card. Besides that, be ready to pay for almost everything. The entrance to the pagodas in Yangon will cost you 5 USD each, they often ask you for a fee to keep your shoes, in some places I’ve been asked to pay for taking photos and the list goes on. We’re never talking about big sums, but in the evening, you’ll discover that you got to spend a fair amount of money. 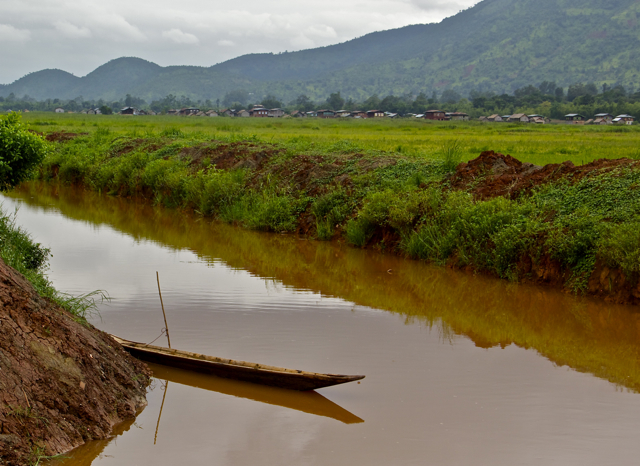 Things get better in Bagan and Inle Lake, where you’ll pay a one-off entrance fee to visit the area, valid for one week. Apart from the costs, what’s annoying is that it’s not clear where (maybe I should say whom) the money goes to, and that made me sometimes feel uncomfortable. Even during the rainy season, the heat is overwhelming and you’ll soon find out that getting around during the hottest hours of the day is too much of a suffering. Around noon, when jumping in the pool for a refreshing bath you’ll bless yourself for such a wise and smart choice (I owe this tremendous piece of advice to a good friend and awesome photographer, who’s been to Myanmar last year. I stayed in a lovely guesthouse with a swimming-pool in Bagan and I can tell you that having a place to find relief from the heat it makes a big difference. Years of neglect, natural disasters, earthquakes and questionable restorations of damaged buildings have spoiled part of what must have been Myanmar beauty. Even in Bagan, the awesome land of thousands of temples, newly built stupas have been erected between the old historical ones, after the city was strongly affected by the 1975 earthquake. 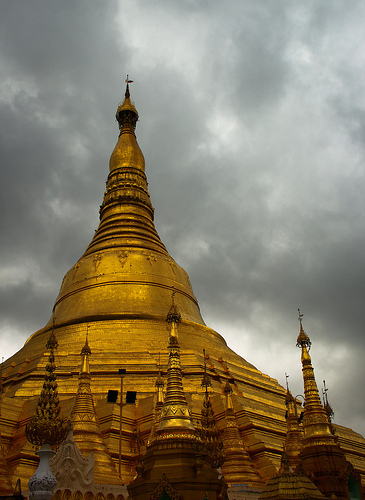 The Sule and Shwedagon pagodas in Yangon have very little left of their original structure. Most of what we see today has been rebuilt and repainted and while the overall effect of the glittering golden domes remains impressive, it’s hard to imagine how it originally was. At a first glance, it seems that the country is keen to develop and modernize itself, but I’m afraid that it won’t be a sustainable development and that many will get caught in the illusion of a gold rush. As for the prices, people I met on the road who had been in Myanmar in the past years told me that it used to be much cheaper. I wouldn’t be surprised to see the costs in Burma further increase. It’s beautiful once you’re out of the city though. Found another article with more on Myanmar’s rich culture and heritage for fellow travellers – – may be of interest. I couldn’t agree more. I went to Burma in January and was overwhelmed by people’s kindness, couldn’t believe how expensive it was, and truly loved the place. I didn’t find it terribly polluted, but before and after I went I was in India so it’s all relative I guess. I’ve been wanting to go to Burma ever since my mother told me about her travels there when she was young. 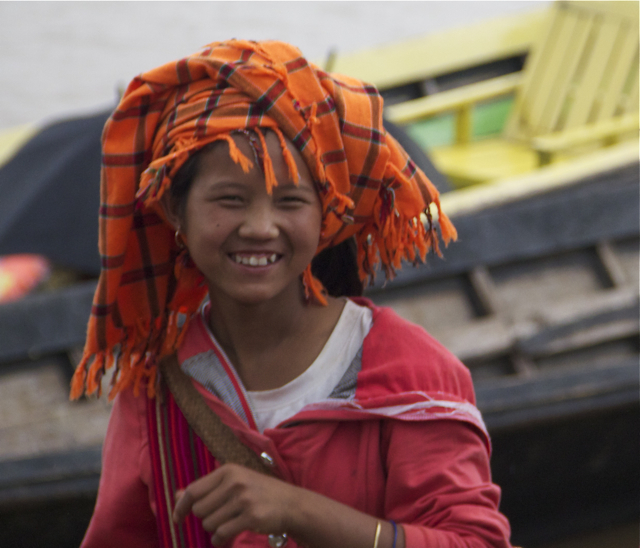 I’ll be doing a solo trip in March – but we will see if I end up going to Myanmar or not. It seems fascinating. I have mixed feelings towards Burma, but I know a lot of people who loved the country. For sure, if you plan to visit now is the right time, as the country is rapidly changing (and as you can easily imagine, not always for the better). I have travelled to Burma and laugh as you may, to keep my dollars in prime condition I kept them in a children’s metal pencil case! It worked a treat and I got many smiles from my efforts too. Now, that’s original, Charles! And a great tip as well. That is really interesting what you say about the money having to be perfect. Strange that they wouldn’t accept it, since most money is messed up… at least a little. Unfortunately, number 7 is true of just about everywhere. With the exception of the ones that are already spoiled by tourism. Very insightful list though, thanks for sharing your thoughts! Planning a trip there at the moment. Leave in 4 weeks. It’s difficult finding comfortable places to stay which aren’t affiliated to the government. But your insight is inspiring still. ESP looking forward to the smiling faces & warm people! It’s always a great pleasure when I read that I was able to offer a little inspiration. Have a wonderful time in Burma. Great, useful tips! I had no idea it would be so expensive. I think anywhere that i should “Be ready to feel overwhelmed by people’s kindness and wonderful smiles” should be on my list of to do’s and i am going to write it on there now. I have never been to Burma, but I have been to neighboring countries. This post gave me a good idea of what it is like and some great tips. Thanks for stopping by and commenting, Noel. I’d be interested in reading your impressions of Burma and I’m glad that the advice is useful. Enjoy Burma! We hope to go to Burma in Feb, my mother-in-law is half Burmese and she is coming to visit us so we will go on the trip together – good to read your post though, looks like we should start planning (& saving up) fairly soon! Now I gotta say, under $100 USD for an internal flight is cheap, given Myanmar’s size. It’s not AirAsia cheap, but it’s certainly not expensive when you compare domestic flight costs in Europe, China, North America, Australia, South America, Africa etc. Nice tip about the swimming pool though, would never have thought of that – and you’re right, planning all your spending so meticulously does sound annoying. All that cash! We’ve been to Burma only for 5 days, but loved it all the way ! Did not find it really expensive, but not very cheap as well. Burma was my first experience into Asian countries (after that we’ve already travelled Asia for 6 months) and Burma was an awesome experience. People are great, food is interesting and we felt very safe there. Would love to go back there ASAP. Whenever you go, Angela, I’d be truly interested to know your impressions. I just got back Myanmar was 9 days out of 5 weeks in Asia, I felt safe and welcome the entire time. Yes, in a few years it will be too late, so folks, go now. All the details are in my blog! LOL! Will have a look at the other side of the coconut 🙂 Curious to read your impressions about Burma. The permit situation always makes getting off the beaten path a little difficult. But, I imagine there are still ways to get off the beaten path within tourist areas (like you can do in Chiang Mai). I’m not sure I understand the concept of a country getting ‘spoiled’. People say Thailand is spoiled, but 95% of it is unexplored by 99.9% of tourists and people have the opportunity to have an authentic experience with a little creativity and drive. I’m sure as Burma opens up, that will be the case there as well. I just spent some time in Myanmar and agree with mostly all of this. However, after I was robbed (Yes, robbed! In Myanmar! With all the nice people! ), I had to stay in Yangon most of the time, which actually ended up being quite inexpensive. I had many delicious meals for two costing under $3 on the street, and actually avoided getting travel sick the whole time! I had been prepared to shell out for everything, but even accounting for the money that was stolen, I ended up spending far less than expected after weeks of research ahead of time and still having a great time! Oh my… Robbed in Myanmar. I would never having imagined anything like this possible. Regarding the food, you’re right. It’s rather cheap. One of the few cheap things in Burma. Thank yu for sharing your experience, Susan. I think it’s is changing so fast it’s hard for us to stay up-to-date with the latest and greatest in scams and tourist traps and even the normal price for a hotel. Part of the adventure of visiting, I suppose! I have always wanted to travel to Burma. Even thought it can get noisy and polluted – I had a client who was originally from Burma, and he spoke of the beauty and culture. Words that inspire. The people are so genuine – it would be a pleasure to travel here. Thank you for the mention, I’m glad the tip was useful to you =) And I’m sure you enjoyed the byriani too! We certainly had a different experience, I loved it and would return tomorrow, but I have a different mindset, one about creating good images that can tell the story of the place and its people. In the end, I probably wouldn’t like to live there. I’m pretty sure my experience in Japan will be way different! I was in Burma a few years ago. I agree with everything you’ve posted here. I was surprised at how expensive everything was when compared to the rest of SEA. I also found that there often was no rhyme or reason to the exchange rate when changing US dollars into the local currency (can’t remember what it’s called). I wish I had had that pool in Bagan! Thanks for stopping by and commenting, Nancie. It’s very interesting to read that you had a similar experience and shared my feelings already a few years ago. Unfortunately, that’s not comforting because it means that it’s likely to get worse in the near future. Ah… The pool in Bagan was a real treat! Thanks for writing this post–it’s very useful information! I’ve thought about Myanmar as a possible trip, but am not 100% sure. After being in Indonesia where there was a lot of noise/pollution in the big cities (I still have a nasty cough after coming home)–and some unpleasant surprises re: $$ (in Bali, public transportation was not ideal and if was often necessary to hire a ‘driver’)–I’m not sure. I like to get off the beaten path and it sounds a bit too tricky there. It sounds like a ‘wait and see’ sort of situation, but perhaps not for too long…. I’m so glad you find the information useful, Lisa. If you’re not sure about going, then better keep waiting. I know about lots of people who fell in love with Burma. Honestly, I didn’t. But that’s me with almost everywhere in Asia, apart from Siladen Island but it’s different because over there I feel at home and the place is really special. Interesting what you say about Bali. I was there a few years ago and it was not too expensive, but I met a few people on the road in Myanmar saying that it changed quite a bit and has become rather expensive. We had the same problem in Bali regarding public transportation; it doesn’t seem to run as regularly as one would like and we kept getting stuck having to hire drivers – who naturally charge more than they should – to avoid having to wait for long periods of time. Other than the transportation, I didn’t find Bali overly expensive though. 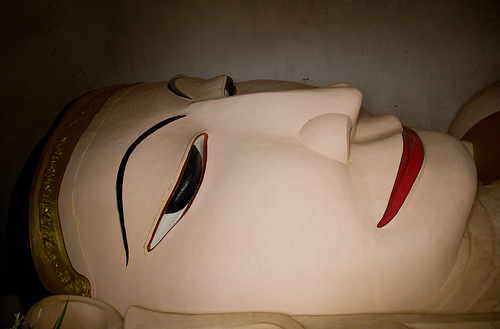 Myanmar seems like a great place to visit despite all of the “quirks” that Simon mentioned. I’m not sure when we will get a chance to get back to SEA but if we decide to throw Burma in, I will make sure to plan the money situation well. Thanks for the tips, Simon! The swimming pool tip is specially valid in Bagan, because it’s very dry and very torrid in a sunny day. Me and Ruben went at least twice a day: at lunch and later in the day. Oh, when I was in Bagan you can’t imagine how much I’ve been thinking at Ruben and thanked him with my thoughts for the swimming pool tip! I agree with you regarding Bagan. People can be rather harassing… And I’m afraid it will get worse very quickly.